You can add it to your diet to make it healthier. Ever heard of quinoa? 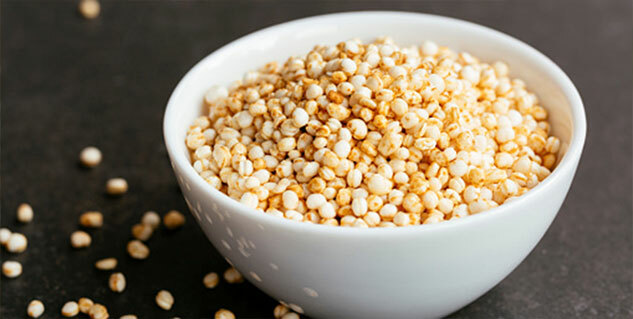 An excellent grain substitute, which is touted as the super grain of the future, this grain has become popular among health-conscious people for its wide range of benefits. It is packed with large amounts of protein, fibre and various essential vitamins and minerals that you need for a better health. It is also high in magnesium, iron, B-vitamins, calcium, potassium. phosphorous, vitamin E.
This grain is known to contain almost twice as much as fibre as most other grains, therefore, it is effective in relieving constipation. It can also be helpful in preventing heart diseases such stroke and heart attacks by reducing high blood pressure and diabetes. Since, fibre is known to lower cholesterol and glucose levels thus, including quinoa in your diet will lower the risk of developing haemorrhoids. Consumption of qunio also helps keep your red blood cells healthy as it contains iron, an element that is the basis of haemoglobin formation. Iron carries oxygen from one cell to another and then supplies it to the muscles. Iron also plays an important role in brain functioning as our brain takes in about 20 percent of our blood oxygen; thereby it helps in neurotransmitter synthesis, regulation of temperature, enzyme activity and energy metabolism. 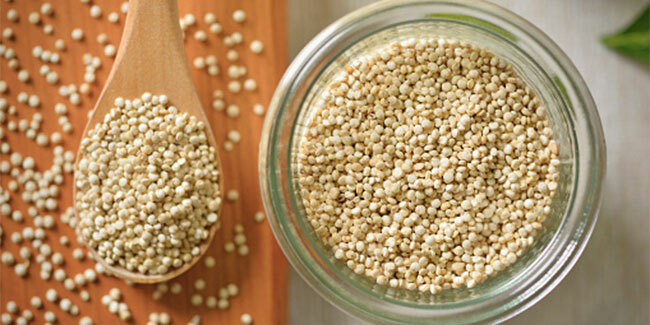 Being loaded with magnesium, intake of quinoa helps relax blood vessels and thereby alleviate migraines. Magnesium also may reduce Type 2 diabetes by promoting healthy blood sugar control. Other health benefits of magnesium include transmission of nerve impulses, body temperature regulation, detoxification, energy production, and the formation of healthy bones and teeth. Quinoa contains riboflavin which helps improve energy metabolism within brain and muscle cells. It also contains manganese, an antioxidant, which helps to prevent damage of mitochondria during energy production as well as to protect red blood cells and other cells from injury by free radicals.